There is little pain in life like that felt by those who have lost a loved one. When that loss comes prematurely and as a result of the negligence of someone else, the sadness is only deepened and lengthened. In this time of trouble, filing a wrongful death suit may offer some small measure of consolation. As an experienced and successful wrongful death attorney, Sean M. Burke has helped many clients all over Orange County resume their lives in the aftermath of tragedy. For those who have lost a provider, he can help restore financial security by seeking economic damages. Restitution for emotional damages can also be sought and won in many cases. While legal action cannot turn back time, it can help keep it moving forward toward a better, more secure future. If you have lost a loved one because of another's negligence, a wrongful death lawyer with our Orange County firm can help you secure the compensation you deserve. Whenever a person dies due to the misconduct or negligent activity of a person or organization, whether or not there was any intention to harm or kill the decedent, a case may be made for wrongful death. Attorney Sean M. Burke can draw on his experience as a personal injury lawyer in Orange County to determine whether a particular case qualifies under this definition. Valid cases must establish that the behavior of the defendant was harmful either by intent or by failure to heed normal standards of safe and responsible conduct. This harm must be shown to have caused the decedent's death (though not necessarily by itself). Furthermore, the decedent must have relatives alive who have suffered economic and emotional harm as a result of the wrongful death. Economic damages may still apply in cases where the decedent did not earn an income but offered other valuable care and service (as in the case of a stay-at-home parent who had no official job). A wrongful death suit differs from criminal charges for causing the death of another person in that the latter is brought by the government and has the power to compel imprisonment, rather than just monetary damages. Furthermore, the standards of proof for a wrongful death suit are significantly easier to meet. Wrongful death court actions may only seek restitution for losses incurred by close relatives, not those incurred by the actual decedent. Under California statute, the surviving spouse has the first right to file suit, followed by children and grandchildren. Parents of the decedent may file only if none of these exist. If you believe that a loved one has died as a result of the irresponsible conduct of someone else, please contact wrongful death attorney Sean M. Burke at his offices in the Orange County community of Newport Beach. A great number of situations and actions can give rise to wrongful death claims, but some do so more frequently than others. In California, it is much more common for negligence, rather than intentional misconduct, to form the basis of a wrongful death suit. Attorney Sean M. Burke, who serves all of Orange County from his Newport Beach offices, takes on many cases caused by medical malpractice, and even more that occur as a result of an auto accident. Drunk driving in particular causes a distressingly large number of claims. Elder abuse and defective products can also lead to wrongful death. Many other causes besides these exist, and it is important that you contact an experienced wrongful death attorney as soon possible if you believe that one of them has taken away someone you love. 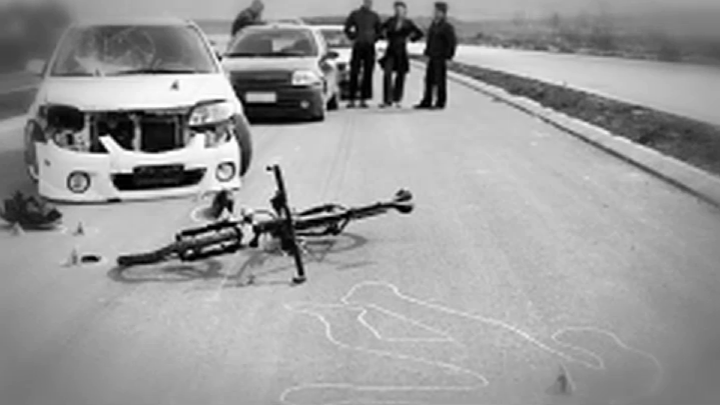 Successful wrongful death lawsuits can recover damages for the plaintiff based on a number of different types of loss. Direct expenses — that is, medical and funeral bills associated with the decedent's passing away — are often included in awards and settlements. A much greater portion of most judgments comes as compensation for lost future earnings, including all salary, wages, benefits, and pension payments the decedent could reasonably have been expected to earn throughout the rest of his or her life. The calculation of this value is often very complicated and depends on a large number of factors. Less easy to calculate is the emotional value of the lost companionship experienced by the plaintiff, which must be estimated by the jury and converted into a dollar figure in the verdict. Lastly, punitive damages may be awarded; unlike some states, California law allows these damages in wrongful death cases in order to deter the defendant from further misconduct. It is important to note that, under California's statute of limitations there are strict time limits (between 6 months to 2 years) apply to these types of cases, so it is important to contact an experienced attorney as soon as possible. Some exceptions exist for long-term situations such as asbestos exposure. If you have recently lost a loved one due to another person's negligent action, please contact the offices of Sean M. Burke, a successful wrongful death attorney in the Newport Beach area of Orange County.